On April 7, 2015 the Alliance held an in-depth discussion on how curriculum tools can help teachers implement college- and career-ready standards and raise levels of learning for students, particularly those who are low-performing. This webinar examined how these tools enable teachers to use their own curriculum based on student needs while aiming at common, high standards. While forty-three states have adopted the Common Core State Standards, and the rest have adopted separate standards for college and career readiness, teachers need support in developing curriculum that can guide students toward those benchmarks. Recognizing this need, a group of experts in literacy and curriculum formed the Literacy Design Collaborative (LDC) in 2009 to create tools for teachers. The LDC tools have been implemented more than sixty-five districts in six states. Research on the LDC shows that the tools have been effective in improving instruction and learning. Rebecca Reumann-Moore described the research findings; Renee Boss discussed statewide implementation of the LDC tools in Kentucky; and Mickey Campbell described his experience in using the tools in his history classrooms. Robert Rothman moderated the discussion, and panelists also addressed questions submitted by viewers from across the country. Bob Rothman: Good afternoon. My name is Bob Rothman. I’m a senior fellow at the Alliance for Excellent Education, a non-profit policy and advocacy organization in Washington, DC. I’ll be your host today. We’re very glad that you’ve joined us for this next hour, as we examine a powerful tool that can help teachers implement standards for college and career readiness. Please join the conversation by using the hashtag #all4ed. As all of you know, states have redefined education in the past five years by setting standards aimed at ensuring that all students graduate from high school ready for college and careers. But standards, despite the rhetoric, are not curriculum. Teachers, schools, and local districts need to develop and adopt curriculum that will lead students toward the end of your expectations embodied by the standards. In 2009, a group of literacy experts and curriculum developers known as the Literacy Design Collaborative began to take on this task. They began to develop tools that would help teachers craft classroom lessons that would enable students to demonstrate standards for college and career readiness in literacy. These tools were tried in a few districts, refined, and tried in more and more schools. They are now used in half a dozen states and hundreds of classrooms. According to teachers, the LDC tools are powerful because they are flexible. That is, they allow teachers to use whatever texts and topics are appropriate for their students, while still leading them toward common standards. And research shows they get results. A study of teachers has found that the vast majority believe the LDC tools improve students’ literacy skills, especially students who had been low-performing. And a quantitative study of students in Kentucky found that students in classrooms using the LDC tools outperform comparable students not using the tools in the English language arts, and that they did as well in subject area tests. Today we will be examining these tools and what they mean for classrooms and for standards for college and career readiness. We are fortunate to have with us three knowledgeable people who bring a range of perspectives on the topics. To my right is Rebecca Reumann-Moore, a senior research associate with Research for Action. RFA, based in Philadelphia, has conducted a multi-year study of the LDC and its impact on teachers and classrooms. She’ll be sharing some of the findings with us. We also have with us Renee Boss, an initiative director for the Fund for Transformation of Education in Kentucky. Renee leads a statewide network of teachers involved in the LDC and is working with colleagues from other states to strengthen teachers’ abilities to use the tools effectively. We are also fortunate to have with us Mickey Campbell, a history teacher from Paul Laurence Dunbar High School in Lexington, Kentucky. It’s always great to hear from practitioners about their experiences, and we appreciate your taking the time away from your students to be here, Mickey. We look forward to your participation during this webcast, especially via a box on the webcast page where you can ask questions. We will go to those questions from time to time to answer what’s on your mind. But please know that we will probably not be able to get to every question. In fact, we received several questions before this webcast even got started, when you registered. And again, please join us on Twitter, using the hashtag #all4ed. To begin the discussion, let’s hear from Rebecca about some of the findings from her research. Rebecca? short overview of what I’ll be talking about. I’m going to give you a little bit of background about LDC and about Research for Action’s research on LDC. And then the bulk of what I’d like to talk about today is teachers’ perspectives on how LDC is affecting their practice, affecting student engagement and student learning in their classrooms. And lastly, I’m going to touch briefly on conditions that we’ve found are important for nurturing and sustaining LDC in classrooms and schools. So the Literacy Design Collaborative, or LDC, offers teachers a framework that they can use to collaboratively or individually create curricula in their content area. 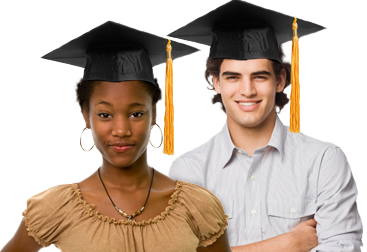 It connects the college and career ready standards with science, social studies and English language arts. The goal is to build students’ knowledge of content and their literacy skills to prepare them better for both college and careers. I want to share a few terms that you’re going to hear today. One is “module.” Modules are short units that you use – the teachers use the LDC framework to create. They might last two to four weeks on average. A teaching task is something that the teachers use – it’s a template aligned to the Common Core state standards that they can then customize to create these units. And lastly, mini-tasks are small, score-able reading and writing tasks that address the skills for students to create – to complete the teaching task. They provide an instructional ladder or scaffolding to help students reach the goals of the teaching task. And here you can see what a teaching task looks like. There are argumentative, informational, explanatory and narrative templates. This is an argumentative template, in which the student has to take a position and argue a point. You can see that there are blanks that the teacher fills in. And this completed teaching task starts with the essential question of “What were the most important causes of the Red Scare after World War II?” And asks its students to read primary sources, to write an essay, and to argue the role of Senator Joseph McCarthy in this event. And this particular teaching task was created by a team of high school social studies teachers who are part of the Common Assignment study, of whom Mickey, who’s with us today, is one. So to give you a bit of a sense of our research, we have been involved with LDC since its inception in 2010. Our research was funded by the Bill and Melinda Gates Foundation, and we provided formative feedback throughout that time on how the initiative was going, what the challenges were, and what teachers and administrators were saying about it. Our primary data sources, and the ones I’ll be drawing on today include 175 interviews during that time with teachers, principals and district administrators. They were in a number of states, but the primary states where we did the research were Pennsylvania, Kentucky, Florida, and New York. We did surveys throughout the years of the study, but today I’ll be drawing on the 2013 survey, which was of over 3,000 teachers in 21 states. I want to share our theory of action with you. It’s kind of a complicated diagram, but we used it to guide our research. I’ll be focusing today on the blue circles in the middle. The large, light blue circles are the conditions that our research identified as key to supporting LDC, and those are leadership, alignment, and professional learning opportunities. The small, dark blue circles are indicators of robust implementation, which also indicate early changes that might be taking place in the classroom. I’m especially focusing today on the classroom changes which are teacher practice and student engagement and student learning. The theory of action posits that ultimately, if the indicators of robust implementation is in place, that then broad and deep instructional change will take place as well as student learning, and ultimately students will graduate college and career ready. So now let’s really get to what the teachers had to tell us about what was happening with LDC in their classrooms. Large majorities of LDC teachers also told us that the tools helped them incorporate more formative assessment in their classes. They learned more information about students’ strengths and weaknesses, and were able to give students more detailed writing feedback. The ongoing formative assessment of student writing and of their reading through mini-tasks and multiple writing drafts gave teachers the opportunity to assess students’ needs and to provide supports for them to meet high standards. Of course, teachers also face challenges in using LDC, as with any new approach. I’m going to share just three with you right now. One challenge was responding to student writing. While almost three-quarters of teachers said that LDC modules helped them provide students with more detailed feedback on writing, so that was a success for LDC, at the same time, almost half of teachers said that they were unsure about how best to give productive feedback to writing. They still felt that they needed to grow in that area. And in interviews, science and social studies teachers were especially likely to request help with improving the quality of their writing feedback. Another issue was time. Now of course, time is often a challenge for teachers. Teachers have a lot to fit in. Two ways that time was a challenge in our LDC research was that a large majority of teachers reported that it was difficult to find the time to respond to writing. And they were often reading and responding to more writing with LDC than in their regular instruction. And also, some teachers reported a tension between covering the material they needed for state test preparation and using LDC. And that was often because state tests focused on a breadth of content, and LDC often goes deep into content or requires a lot of critical reading and thinking. Teachers often did seem to develop strategies for this as they went along; perhaps that’s something we can talk about more. But it was still a challenge for many. And a third challenge is differentiation. The majority of LDC teachers said that the tools did help them to differentiate instruction. At the same time, teachers wanted more training on how to use LDC to really meet the needs of all learners. And in particular, they wanted more help in using LDC to reach the needs – to help struggling students reach the more rigorous standards. So we got positive feedback also about the LDC in student engagement. About three-quarters of teachers told us that the framework was effective in making instruction engaging for students. And in interviews, teachers shared with us characteristics of modules that help with making instruction engaging. One is high-interest topics. Teachers often tried to use topics that would really make students interested. Argumentative writing tasks tended to get students engaged; students like to argue and make their point. Many tasks provide different approaches, different ways in to reading and writing skills, and often there are many, many tasks in a module. And so that helps different students meet – gain the skills they need to meet the goal. LDC modules also have a clear end goal. As you saw from the teaching template, there’s a very clear final product that the students have to do, and many teachers spend time at the beginning of a module going over that template and making sure that students understand it. And they felt that that’s not motivated students, because they knew where they were going. Student choice is also a feature that many teachers try to build in. That might be choice of texts to read, it might be a choice of what stance to take that you’re going to argue. And teachers also try to integrate active learning strategies. And obviously, many of these characteristics encourage student ownership of the work. We also looked at other learning measures. For example, learning of content. Again, we heard from the majority of – a large majority of teachers that students were improving their learning of content, that they felt that the modules were helping students’ college readiness, and that the modules were helping students prepare for state assessments. This quote is typical; a teacher said, “They learn more deeply than by reading a textbook.” We’ve heard that again and again in our interviews, that teachers feel that students are learning really deeply and critically through the modules. And lastly, I’d like to share with you something about the conditions that our research identified as important in both supporting implementation and addressing the inevitable challenges that come up. So one of the main conditions is strong leadership. And we found that that leadership is really important, not just at the school or building level, but also at the district level. And if possible at the state level as well. And leadership is central to cultivating the other conditions of alignment and professional learning. As far as alignment, LDC alignment with the standards, with curricula, with state and local assessments and with teacher effectiveness systems are all important. If a teacher is getting mixed messages or feels that their assessments are asking them to do one thing and LDC is asking another, then at best they’ll feel ambivalent about implementing them and very likely will not really want to do so. Meaningful and ongoing professional learning is important. And especially opportunities to collaborate with peers. Again and again, our research has pointed to the importance of collaboration with peers in helping teachers implement LDC. And some key moments or opportunities for collaboration in LDC are in designing or revising the modules during implementation, and in scoring or looking at student work, and using that to think about the next stages of implementation. On this next slide, I just want to leave you with a link that will take you to our webpage and the Research for Action webpage, and all of the reports that we’ve written about LDC. For example, teachers may be especially interested in the teacher booklets that really focus on teacher perspectives on the tools. There are some case studies that district people might be especially interested in, since they highlight strategies for supporting LDC. some questions, but first let me turn to Mickey. Mickey, how does your experience compare with Rebecca’s findings? What has the LDC meant for you in your classroom? that. I’ve taught middle school and high school for over 20 years, and so often writing has been frustrating for teachers, and especially for students, because I’ve felt like that although teachers might know what they wanted kids to do, they had a hard time communicating that in an organized way. And LDC provides a great tool to make that pathway smoother for students to understand what’s expected and to build the skills that they need to produce good products by the end of the unit. I think as we just talked about, there is a clear final product, and the students know what is expected of them. And it’s not easy to get there. You know, I want to say that so often that students are frustrated because it is a difficult process, but it’s a worthwhile process. And I’d go back to one of my bread-and-butter quotes that I use all the time – is from President Kennedy, and he said that “Too often we have the comfort of opinion without having the discomfort of thought.” And I think LDC fits in with that perfectly, because kids are allowed to have the comfort of their opinion after the discomfort of thought and research. And I think then giving them a chance to express themselves in their writing and throughout the tasks that we do in both – I teach an Introduction to Government class and a US History class, and it provides students a wide range of opportunities to really express their thoughts, and for me to really assess how well they understand the content that we’re going through. student writing and student thinking that Rebecca described? modules in my freshman Introduction to Government class for the last four years, and we have seen some marked improvement, both from the teachers’ design standpoint, and also from student performance. And this past – this current year, we’re introducing LDC work into our eleventh grade US History curriculum, and we’re working with a group of teachers in Colorado and Kentucky on a Common Assignment study. And we’ve already seen – last year was the first pilot year, and this year’s our follow-up year where we’ve incorporated more schools and we’re starting to see I think improvement and better products coming from the students. statewide network of teachers using the LDC. What kind of support have you seen teachers need, and how does the network provide it? Rebecca’s research showed – has shown as well, that teachers need the support of their leaders, and they need collaboration. So specifically, principals in their schools can provide opportunities to have time to work on analyzing student work and looking at the papers and then the network has also provided collaboration and support among peers, which was the original intention of the Literacy Design Collaborative, that it’s a collaborative process, teachers are working together and designing and creating systems of – or lessons for students to learn from. So collaboration and leadership have been two of the biggest supports that we feel that they have benefited from having the network of supports with one another. So, and our network is a little bit smaller in the research study, but statewide in Kentucky, we’ve had full introduction to LDC in all of our districts, and it’s a larger network that’s – we work in collaboration with the state Department of Education as well. And they’ve provided significant technical assistance to districts who are implementing LDC in their schools. much as we are a very technologically savvy world, we’re finding that teachers really like to have face to face time. And so we have a mixture of teachers coming together face to face from time to time, and then continued ongoing virtual collaboration when they can’t meet together. Initially, when LDC came into Kentucky and teachers started creating modules together, they were coming together in a system of leadership networks that was originally designed by the state Department of Education for teachers to come together every single month and work together on creating modules and bringing back student work and analyzing the success of that work. And in our research study for the Common Assignment, we’ve built on some of what we learned about the networks in our Common Assignment study with Colorado. Bob Rothman: So there are other statewide networks like yours. understanding is that we’re more systemic across the entire state in Kentucky, but I am familiar with teachers and leaders in other states; Colorado, Florida, Pennsylvania and many more that I probably won’t think of right now, but not the statewide spread that we have in Kentucky, but significant in particular districts in some of the states. the challenges that teachers identified in implementing the LDC. What are some ways that they’ve been able to meet these challenges and address them? Rebecca Reumann-Moore: Well, one of the challenges I mentioned was differentiation. support on that. Teachers talking about how to do that. And there’s different approaches in different districts. In some districts, teachers have ELL teachers or special education teachers who work with them as partners, and that can be helpful. Teachers also do things such as provide a variety of texts at different lexile levels, so that students with a lower reading level can still dig into some texts that have meaningful content. They also sometimes give different – slightly different end products to different students. So that different students with different strengths or at different levels can – perhaps some might write three paragraphs, some might write five paragraphs. As far as time, I think – and I’d be interested to hear what Mickey thinks about this as well, but the challenge – the time challenge with both getting used to grading more tests, but also – responding to more tests, but also the tension between covering content and using LDC. I have seen this, we’ve gone back to districts year after year and sometimes talked to teachers multiple years in a row, that as teachers use LDC and see the benefits it’s having for their students, they also – they become convinced of its worth, and they also find ways that they can integrate it into their content. I think it is important for districts to help teachers and to communicate to districts – to teachers how they see the LDC modules aligning with the content. I think another challenge that districts can be helpful with is the science and social studies teachers sometimes have particular challenges in using LDC. Science and social studies teachers traditionally have not been responsible for literacy instruction as well, and in fact we have one quote from a science teacher who said, “I’m scared of writing. That’s why I went into science.” And so, as science and social studies move into having the kind of role envisioned in the standards, where all teachers are really helping students gain the literacy skills they need to read like scientists or write like a historian, I think that science and social studies teachers need particular support to make that transition, because it is a bigger transition than for English teachers. And I think one other – this challenge of kind of alignment to tests and to standards is very important for administrators to communicate to teachers what – how LDC aligns with the curricula, and with other initiatives that they have, with state assessments. So that teachers can better integrate it into their work. Mickey: how do you balance the breadth versus depth? teachers face. And really, it comes back to – and this is where the collaboration, I think, plays a huge part, is that your writing tasks have to be worth the time that you’re going to allow for them. And having a group of teachers working together across your building, across your district, across states, I feel like that we have developed some very good writing tasks. And it’s not something that comes easily. We’ve refined our tasks every year. We’ve never taught exactly the same task two years in a row because we’re always working on refining; this could be better, or the students needed this support, or they got frustrated from this, or how to really delve into this primary source. So that’s where I liked your word “infusing” things together. Sometimes it takes more cooks to make that happen, and so having that group of people to rely on, and not feeling like you’re having to do it all by yourself, for those teachers who are really afraid of the writing process. And I think there’s a lot of social studies teachers that would echo your science person, who would say, “If I wanted to teach writing, I would have been an English teacher.” You hear things like that all the time. But you think about – it’s not just that we’re teaching writing. We’re teaching thinking. We’re teaching skills of presenting an argument with facts and evidence to support and refuting counter-claims and those kinds of things. So having those good, high-interest topics really is the best reason to give it the amount of time that it does take. But I have to be honest, it – our tests at the end of the year are high-stakes, and there’s a lot of pressure to perform well. But I feel like if our students are building better thinking skills, that that’s going to help them each and every day, and including one day a year where they have to take a test. Assignment project. It’s an effort underway, in which teachers from across the country are developing common assignments using the LDC. Could you describe that and what’s involved in it? and the Colorado Education Initiative, we have been bringing teachers together over the last couple of years and Rebecca and her group at RFA, along with some other partners, have been studying what we’re doing. But in bringing the teachers together in the collaborative spirit of what LDC is all about and designing LDC modules, we decided to expand that. So in our Common Assignment study, we are creating LDC modules and within the larger context of curricular units. So we’ve heard very positive responses from the science teachers, who say, “I didn’t necessarily want to teach writing at first,” within the units that they teach, though, the science labs are still very much a part of those units. And then the LDC modules are embedded within those units. So the group came together in Seattle two years ago. They thought about those topics, Mickey mentioned, that are worth studying. What do we really need to dig into and spend time? What is worth our time to study for this length of time, bigger than the modules? So often then, bigger than the two to four weeks, the units were spreading out closer to six weeks. And the teachers worked together to develop the unit of study with that module embedded within. They went back to their schools in Kentucky and their schools in Colorado and they taught the unit and in between they continued to collaborate using various virtual means with one another to talk about what worked well, what didn’t work well to provide support in the teaching. Because some teachers were at a different point in the unit than others. And it’s important to note that the teachers also individualized the units to the context of their own students. So while there were very – there were several commonalities in the units, there was also room for teachers to individualize to make the unit important for the context in which they live and work with their students. We brought the teachers back together to analyze the products of those writing units and science labs, and in analyzing the products, the student work, decisions were made about how to revise the units before teaching them again. And so now we’re in year two. We’ve added a significant number more teachers who are – helped revise those units and are teaching those units now, again with the same process of individualizing, having a few common tasks and then coming back to look at student work to see how students have mastered the content. more to this as well, but a typical module begins with a backward design process. So the task that Rebecca shared at the beginning about the Cold War is a writing task that teachers and students are working on together in the long-term. So in order to be able to write about that, that’s not an on-demand scenario where it’s drop and go, write about this prompt. Mini-tasks are created. So another way to understand mini-tasks might be mini-lessons. But they’re tasks that are designed to help you gain the skills and confidence you need to write the paper at the end. So time with close reading of text, looking at text-dependent questions, annotating text, digging into research if the task requires it, and teachers have an opportunity to use whatever reading strategies they know that might be needed to help students master the complex texts that they are engaged with. And all of those mini-tasks make up the larger module. there is a nice balance between choice and commonality. That even if we have a common writing task, whether that’s explanatory or argumentative, there are chances for teachers to use different mini-tasks leading up to that, and to share successes and failures and ask for help or to provide feedback to other teachers if they’ve found that certain strategies have worked well or if they feel the need to try to supplement in other areas where they’ve struggled or their students have been frustrated. And so that’s been a nice aspect of the LDC work, is that the teachers do have a chance to share where they’ve been successful and also get help in areas where they had frustrations. Rebecca Reumann-Moore: Our research has been largely – has not been comparative. It’s been largely with the teachers that have – in schools that have implemented. We’ve been giving formative feedback and looking at teachers and administrators’ perceptions of how the tools are affecting their practice and student learning. The one study that has been conducted thus far that has been more outcomes-oriented is the one that Bob mentioned earlier by Crest. And there is a link to that on our website, by the way, or to – there’s a summary of that. I believe it’s called______. I think this product will actually be up the Alliance website after the webinar, but it looks – it’s a study particularly focused on Kentucky that did show that, I believe students who were in an LDC gained about two months in literacy scores compared to students at schools who were not using LDC. But that’s definitely an area for their growth that now, as more schools and districts are using the tools, and as teachers have more time to get proficient at using them, that it could be time for some more studies of that kind. about English language learners. How do you address the needs of English language learners in using these very text-dependent tools? my high school in Kentucky and it’s – we use a lot of collaboration. We have teachers who are ELL specialists who work with the children, but also the students that I just have in my classroom, part of the LDC framework is taking some of these difficult primary texts and breaking them down into smaller pieces or giving tools that the students can use to understand the meanings of these texts, which are helpful, certainly to ELL students, but they’re helpful to all the students. But even though it’s asking these students to look at primary sources and court opinions and some difficult things to read, I think we’re building in the skills that the students see that understanding those texts are going to allow them to be better writers at the end, and so I think that helps some on the motivational side as well. offer a variety of texts in both English, and in this case it was Spanish, so that students could read some of it – the text in their native language. It’s another strategy that I’ve seen. wants to know about whether schools have restructured using the LDC – “Have high schools attempted to alter the curricular framework through such practices as team-teaching, cross-disciplinary lessons, project, cohort approach?” Renee? particularly with the Common Assignment study, because they’ve been able to build these larger units, have started to think about replacing units, so units that they taught before in the high school are – and in the middle schools are sometimes now being removed and the new units with LDC modules embedded have been included instead. So they have been looking at their larger curricular framework. In a couple of those schools that I’m thinking about right now – team-teaching, we’re seeing a good bit in middle schools more than high schools so far. I know two of our teachers that we work with in Colorado literally have combined their students and are teaching, tag-team teaching together. So we know that it – there is really allowing for more team-teaching possibilities. We do continue to hear, even if they’re not in the same classroom together in the schools, we hear that – and I think you heard, Rebecca mentioned this in her research, there is a culture of understanding about the language. So when they go from English class to history class to science class, they’re hearing the same idea of writing thesis statements, using evidence to support their writing, and that builds a stronger core within the school itself, even if they’re not teaching it at the same time, or teaching the same exact unit as you might with team-teaching or be in the same room. So that’s been a benefit. With cross-disciplinary, haven’t seen as much of that yet, but we are launching a new project at the Fund for Transforming Education where we’re getting ready to dig in a little bit and bring teachers together to look at the possibilities of more cross-curricular work because we do know in the real work, so to speak, that’s the world we live in. We have to be able to cross, so stay tuned for more on that. able to work with other teachers. We have a relatively large high school – we have about 2,200 or 2,300 students. So I work in a learning community with three other teachers who teach this same course I do, both for the government class and three other teachers who teach U.S. History with me. So we’ve been able to collaborate within our building for quite some time, but now this has allowed us to reach out to other people in other schools within our district, and other districts in Kentucky, and now even this year with the districts in Colorado. So I just feel like we’re just adding more and more layers to that, and as Renee said, I think the future, the progression would be to look for more cross-disciplinary opportunities, because I think that that would be very exciting. I think back to my own experience when I was in junior high school, back in the ancient times, that my social studies teacher and English teacher worked together in a classroom. So I certainly can see all sorts of areas for cross-disciplinary opportunities for teachers to collaborate. LDC language and framework has now given them a common language that they didn’t have before where they can all talk in the same way about say, helping kids write a paper. And as far as the question about changing and curriculum frameworks, one interesting example of that is Hillsboro, Florida, where they have – we leapt into LDC in a big way. And they have – it’s quite a large district, I believe it’s the eighth largest in the US, and they have created modules that are integrated in multiple courses across all the content areas in middle school and high school. And in some cases, where they saw opportunities to create new courses, they have created all-module courses. And that has been – those opportunities have been either they had a curricula, say in a reading course that they weren’t that happy with, or there have been some new courses that they have created, and those courses have four to six modules that span the length of the year. We do have a case study on Hillsboro available where you can read about that in more detail if you like. obtaining these. So are these tools available for teachers across the country? create a login with no problems at all. It’s really simple. In fact, I was working with some pre-service teachers at our local university a couple weeks ago, and within 60 seconds, they had a login. So once you are in the site, you can create the modules and there are also resources, libraries, samples of modules that have been created, and everything is free. Bob Rothman: What’s the website again? teachers, they have – part of my training was to go through a jurying training and just the amount of resources that are there, you can see full units, but you can also search for specific mini-tasks. So if, for example, you’re wanting to get some help with maybe political cartoon analysis, you could look specifically for a tool to help you do that, and then apply that within your course. So there’s a wide range of resources available on LDC.org. strong, then the amount of time that you’re investing, you’re not going to get the return that you want for that. So depending on if you’re wanting to do something argumentative, you need to be finding something that has a multitude of options, where really both sides of the argument could be argued successfully, and so it’s not a cookie-cutter, here’s my 123rd paper about Joe McCarthy that sounds just like the – there’s lots of avenues that you can do that. So it certainly is – that’s really the key are finding those key topics that allow students to really dig deeper. But even this year we wrote a paper about Andrew Carnegie, and in the past we’ve – it’s been an argumentative paper where students were arguing his role of being a captain of industry or a robber baron, and this year, we switched it to being more of an explanatory paper about how could someone like Carnegie be seen as both – you know, how has history defined Carnegie, and some people see him as a hero and some people see him as a villain? And how can that happen? And that sparked a lot of discussions that have not only – they didn’t just end with Carnegie, it extends to people throughout history. How can people look at Nixon as a hero? Or how can people look at Carter as a villain? Or how can people see different – because these political leaders especially are very complex people. And so those are the kinds of skills that we can build through one writing task, but that also spill over into other units as well. considering a revision to the Elementary and Secondary Education Act, and a question from Wangxi, “How can ESEA support literacy?” There’s a program already in the law, the Striving Readers program, that provides some grants to states to improve literacy instruction. Renee, how does Kentucky use that? that model that we created for that particular time was an intervention model, so it was the Kentucky Cognitive Literacy model, and we were looking specifically at how to support readers who were two grades behind in their reading level. So the financial aspects that we received at the time from that particular grant were beneficial in helping students who were struggling as readers. So though that’s not currently something we have, definitely any time there’s financial resources to go to literacy, it helps struggling readers and readers who aren’t struggling as well, but who need to be able to read critically and carefully before they head off to college. Bob Rothman: Rebecca, you mentioned Pennsylvania? within the last few years where they used – they identified a number of strategies that they felt were – could be useful to help students improve their literacy levels, and LDC was one of them. And so all the teachers from a number of districts were given a certain amount of training in all the strategies, including LDC, and then there were also opportunities to go more in-depth and increase their work in some of those areas. the fact that LDC.org, the tools are free, but what we’ve been learning about teachers needing time to collaborate, there’s a lot of financial resource necessary to bring teachers together to have the time to collaborate to make sure that they have the release time that they need, or to compensate them fairly on another time, so it makes sense to me that a district would choose to use their funds in that way to support the LDC use in their district. and time away from the classroom? at that, and what we’ve noticed so far is that in the places where we’ve seen the greatest success, and Rebecca might be able to back this up, or counter it a little bit in the research, but the teachers who have had more time within their school day or opportunity for release time, to come together and collaborate have felt a greater sense of efficacy with using the tools and with meeting the needs of their students. And it really does take time to look at all the student papers and to make careful decisions about how you will change your instruction for the better. And the more time that you can spend not in isolation but in collaboration with other colleagues, the greater chance that you have to continue learning from one another and improve the learning opportunities for students. Bob Rothman: I just want to go back to the image – looking at the student work. As part of the collaborative effort, do the teachers try to develop a common rubric or some kind of common measure to evaluate work across students? and so there are specific rubrics for argumentative tasks and explanatory tasks, and then as part of our common assignment, when we met together as groups of teachers, we’ve shared samples of student work from different teachers and worked on going through those rubrics to sort of calibrate ourselves with how we’re scoring, and if students are meeting the different areas that we need. Because some people have had more experience using the LDC rubric, you know, for example, I’ve been doing it for four years. We have other people that have been doing it for four months. So it allows us to sort of calibrate ourselves and gain those new perspectives. It’s sometimes you get in a rut of looking at something one way, and it takes a fresh set of eyes to see something appropriately. assessments to provide some measure of student and school performance? Mickey Campbell: I think that would be a great thing. I hope Kentucky’s listening. state Department of Education in Kentucky that they are paying close attention to the performance-based assessments that are embedded in our units, and LDC tasks are considered technically a curriculum-embedded performance-based assessment, because it is something more than an objective multiple-choice assessment, and the units we’ve created have other performance-based assessments as well. And I wanted to add one thing about the analyzing of student work. In addition to the rubrics that are part of LDC and the rubrics that have been created to give students feedback, we’ve also developed protocols for analyzing student work. So when the teachers come together, they can work with one another following a specific protocol to help think about where they maintain their focus when they’re looking at the rubric and looking at the student work and that’s provided some continuity and feedback for the teachers. curriculum? Or are there other things that need to be incorporated? used as the ultimate assessment tool, that would make that a much simpler process. But like I said earlier, I think there are certainly aspects from the LDC units that we’re using across all units, and not just the ones that maybe we particularly design for our Common Assignment study. So it would depend on exactly how much freedom you had and where you were going to gain your biggest piece of assessment, but it would depend on – I don’t know if the students were doing that many really large pieces of writing, if that might be overwhelming, but I think there are certainly aspects from those units that you could incorporate throughout the year in all of your units. asked how many units teachers did a year, and many teachers did around two. Some did three or four; not many did more than that. I think two is quite common, but there are some exceptions, such as – by individual teachers as well as in places like Hillsboro, where they’ve created the all-module courses. Bob Rothman: And these are typically two to four weeks each? we’ve often heard is that the first time, when teachers create their first module, if they’re creating their own, sometimes that may go on six or eight weeks, because it was the first time they’d created it, and they find that it goes way too long, and then people learn – they re-think it and make some adjustments, but two to four weeks is quite common. Although in the Common Assignment study that Renee and Mickey have mentioned, there they’re actually building LDC modules into larger units, and then they become part of a longer unit. that each of you have? Renee Boss: I wanted to say something about bringing new teachers into LDC. We have – teachers get brought into LDC in a variety of ways, and when LDC is new to a district, sometimes teachers get brought in by they’re creating their own modules. Sometimes they might be in a district where the modules already exist, and people are using common modules and so they’re given modules to use. And one thing we have found in our survey work is that teachers who are involved in revising or creating a module reported that they had a much deeper understanding of what LDC was, what the modules were and how to use them. And so I think that for districts that are bringing in teachers to perhaps try already existing modules, that’s the place where collaboration can really play an important role. Because even if teachers aren’t creating new modules, if they can have the opportunity to really dig in with the other teachers and have time to talk about implementation, or to look together at student work, that that can really help them on the developmental process, which you learn to use LDC is. And we do hear, over and over again from teachers in interviews about how powerful the looking at student work is, both for understanding what happened for those individual students and for thinking about how to teach the unit again. characteristics of teachers who might be more receptive to trying something like this, or -? eager to try new things just because you know, for a variety of reasons. Sometimes there are teachers who are science or social studies teachers but who also have some kind of background in literacy or have – they have already, they have always tried to teach literacy and it may be a little bit – may come a little bit easier for them. So I think – but I think that what really helps is for teachers to hear from other teachers who have already done it. Because it is kind of a new thing, and if it’s a big departure from what teachers are already doing, I think the most effective way to learn about it is to learn about it from other teachers. Bob Rothman: Mickey, any final thoughts? that sentiment that they’re afraid of writing and to piggyback on what you just said, that this is a framework. It’s not set in stone, but it provides a framework and structure where you can build units that are effective and are engaging and are rigorous and are all the things that we want schools to be, and you have a network of teachers out there that you can either share your successes with or draw from their experiences, so I’m more excited about reading now than I’ve probably ever been in my career. So for those teachers that are 20-plus years, like I am, that’s the biggest endorsement I can give. role of the leaders in supporting the teachers for this work. Time and again, we’ve seen that the teachers who have felt the most successful have had the support of their building and their district leadership, so I would just encourage administrators to learn alongside the teachers what’s really involved with creating and teaching using the LDC tools, and provide teachers the time that they need to collaborate with one another. Bob Rothman: Have leaders participated in your network meetings? them in and giving them a chance to hear from teachers and to observe the teachers in action, and to learn from one another as fellow administrators. The support of their teachers using these tools comes more naturally for some administrators than for others, just as using the tools for teachers comes more naturally for some than for others. So we continue to provide opportunities where we’re trying to bring leaders together from the building and district levels, so they can learn from one another, and continue to support the teachers doing the work. being here, but unfortunately our time on the set is up. If there are additional questions, please send them to our website all4ed.org and we can ask our panelists to respond. We’ll also include some other materials on our website, like the report that Rebecca mentioned, her report, and the one from Crest, the quantitative study. I want to thank the Bill and Melinda Gates Foundation for making this webinar possible, and thank especially Rebecca Reumann-Moore, Renee Boss, and Mickey Campbell for this informative and thought-provoking discussion. 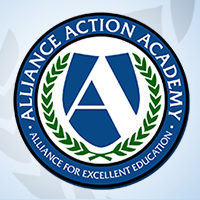 And if you’re a member of the Alliance Action Academy, the code word for today’s webinar is “baseball.” Enter that code word toward the bottom of the webinar page to earn extra points and work your way toward badges in the Action Academy. For the Alliance for Excellent Education, thank you very much for joining us.